How Does That Special Kids, Special Parents Deal Work Again? I’m never quite sure what to think of these sayings. Did God give me special treasures to make me special? 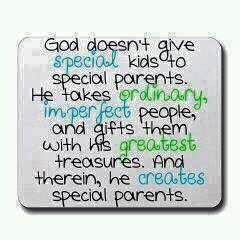 Did he give me special kids because I’m already special? I’m not sure any of that resonates, and frankly it all seems like a massive oversimplification. 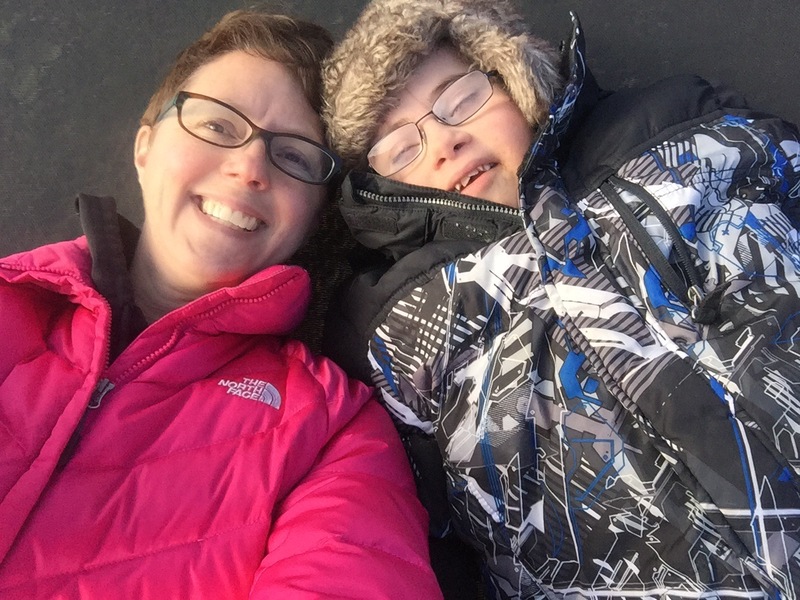 When we had Alex we chose not to get prenatal testing because we knew that if our baby was born with any type of medical or developmental diagnosis that we would do what it took to parent him. 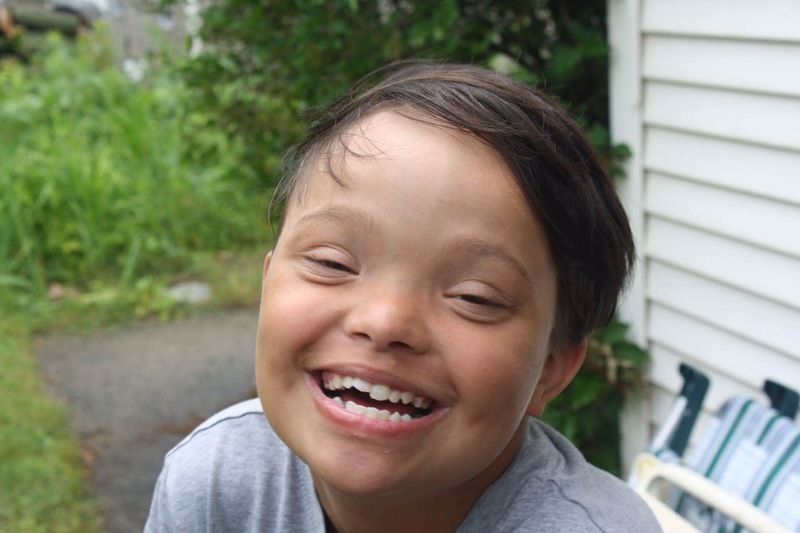 It seemed like a remote possibility to a couple in our 20’s, but sure enough, our child was born with Down syndrome, and sure enough, after experiencing confusion and sadness, we rose to the occasion and continue to do so. Does that make us special? I really hope not. Isn’t that what parents are supposed to do? So then we chose to adopt Ben. Special? 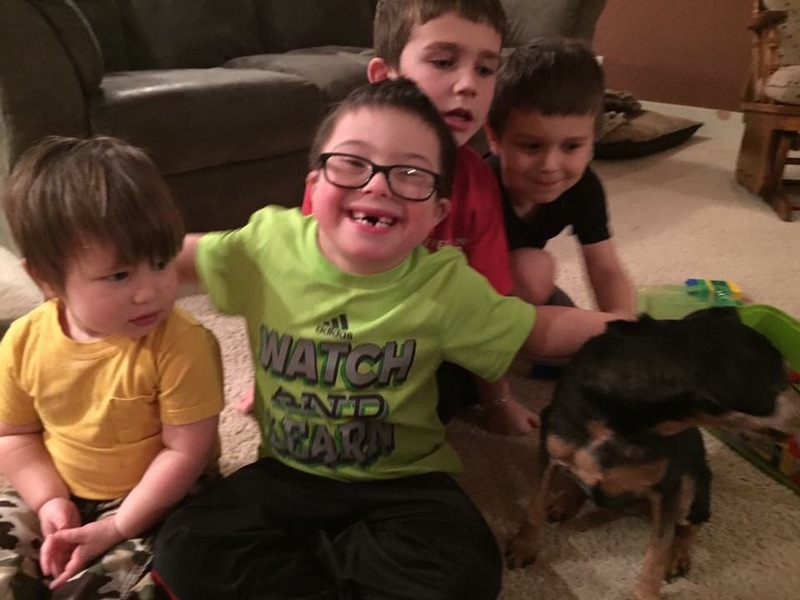 I don’t think so, we just realized we were good at adapting to Alex’s needs, and found him delightful, so we figured we would be just as delighted having another child with Down syndrome. 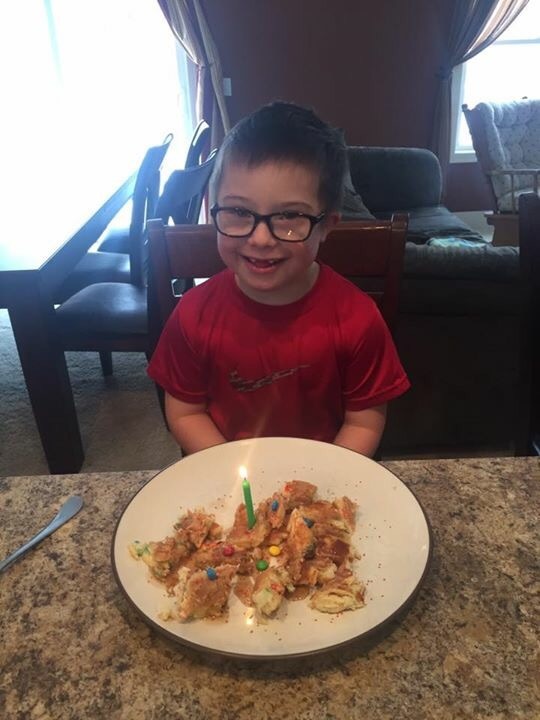 We knew that not everyone has the resources to parent their kids with Down syndrome, so when we recognized our ability it seemed obvious that we should use our strengths to add another child with Down syndrome. Special? Meh, since when is recognizing your strengths and using them special? 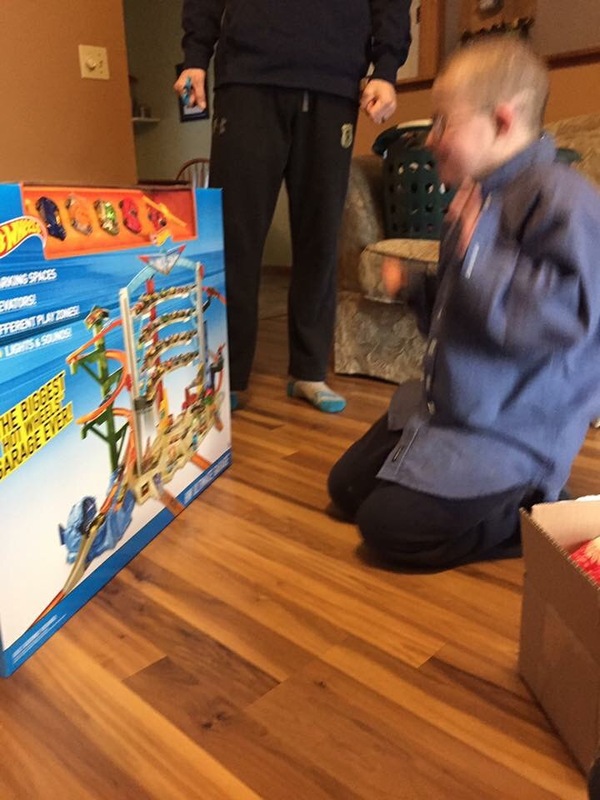 Ben came with a super size package of needs, each of which rolled out one at a time. Each time we have done whatever is necessary to meet those needs. It’s what parents do. They take care of their children no matter what. If buying hearing aids, coping and helping Ben cope with many medical tests and treatments and hospitalizations is special I guess I don’t get it. What else are we supposed to do? Our child needs care, we give it. Simple enough. We are different. Going through all of that with a child changes a person for sure. I don’t relate very well to my friends with only typical children anymore. I still love them and care about their children, but when you’re a full time papaya farmer, you give a pleasant wave to the apple folks, but they it’s a more of a passing acquaintance. Maybe the apple farmers think papaya farmers are special, but I think that’s a colloquialism for different. I don’t think that watching all the average families going about their normal business while we navigate this complex life makes us special. It does make us unrelateable and lonely though. We’re parents. We’re nothing special. We were handed Uno cards when everyone else got a deck of standard Hoyle playing cards. We’re over here playing Uno and seeking out others with Uno decks. We’re playing our game just like everyone else, it’s just with a whole different deck of cards. We have different rules and no matter what, our cards will never quite blend with yours, even though they’re the same shape and size. When those of us playing Uno learn the game and get good at it, perhaps we inspire some kind of awe in the Hoyle card players. But if this very night their deck got traded in and tomorrow morning they had Uno cards, they’d learn to play Uno too. It would be hard at first, and they’d have to get used to new cards and new rules, but they would do it, just like we did, because that’s just what you do. Uno cards are less common, more colorful and come with different rules. Papayas are not apples, they are grown and used differently. Does taking what you’re giving, figuring it out, making it work with love make a person special. I actually hope not. I hope that anyone would farm their papayas and play Uno. I’m sure my analogy is also and oversimplification, but maybe it is just enough to get people thinking. I can’t quite remember how long it lasted, but when I was a child, my mom let a mouse live in her car. She seemed quite fond of the little feller and one pleasant day she released him into a field near her place of employment. Mice, she said, were our friends, they don’t hurt a thing. She could find the redeeming qualities in any creature. 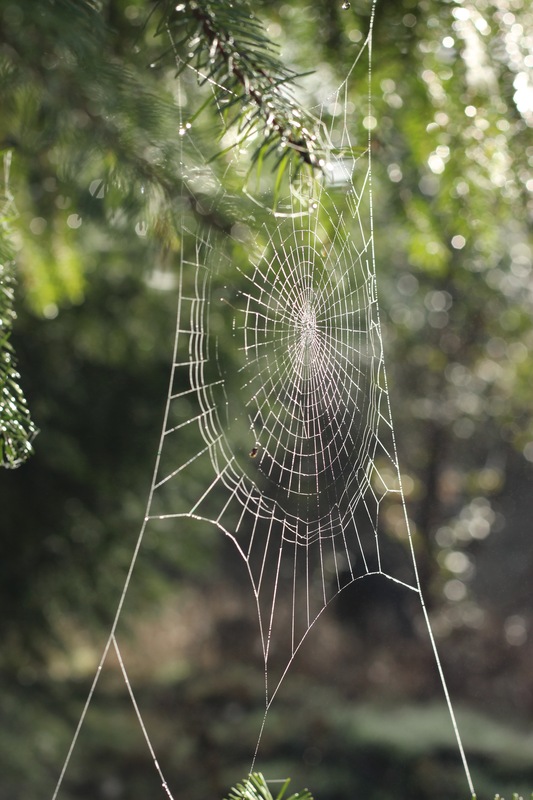 Spiders were our friends too, and bats and snakes. She explained to me their purpose in the ecosystem and the importance of their existence. In fact, there was a honeybee hive in the eaves of our house for years, because bees are our friends too…except for that pesky reaction I had to their stings. I’m pretty sure the only animal whose place on earth she didn’t fully celebrate was the mosquito. Try as she might, she could find nothing advantageous about mosquitoes. 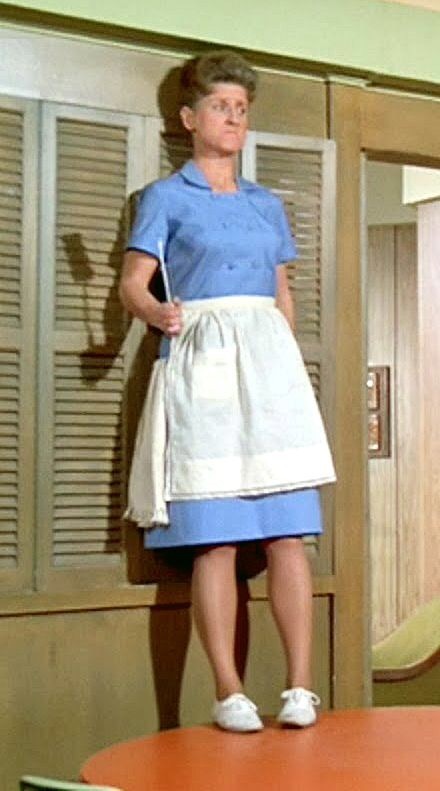 Imagine my puzzlement when Alice, the Brady’s housekeeper leapt onto a chair over the presence of a mouse in the house. Silly Alice, you just catch him and send him outside. (In case I’m dating myself, this is a reference to The Brady Bunch, a popular sitcom in the 70’s). And when we found a bat in my room, you could have made a sitcom out of my mom and me whisking him out the window. In my paradigm, the world is a good and orderly place not in spite of, but because of the tiny, crawling critters that are often despised. (Just for the record, my mom is tidy, clean, orderly and otherwise normal, even though her tolerance for critters in her home and car is rather high). Maybe she meant to as part of a larger life lesson, but I suspect she simply possessed an understanding that you can’t really decide if something is good or not based on appearances or reputation. That if you take the time to pay attention and look past the exterior, you can find beauty, joy, and purpose. 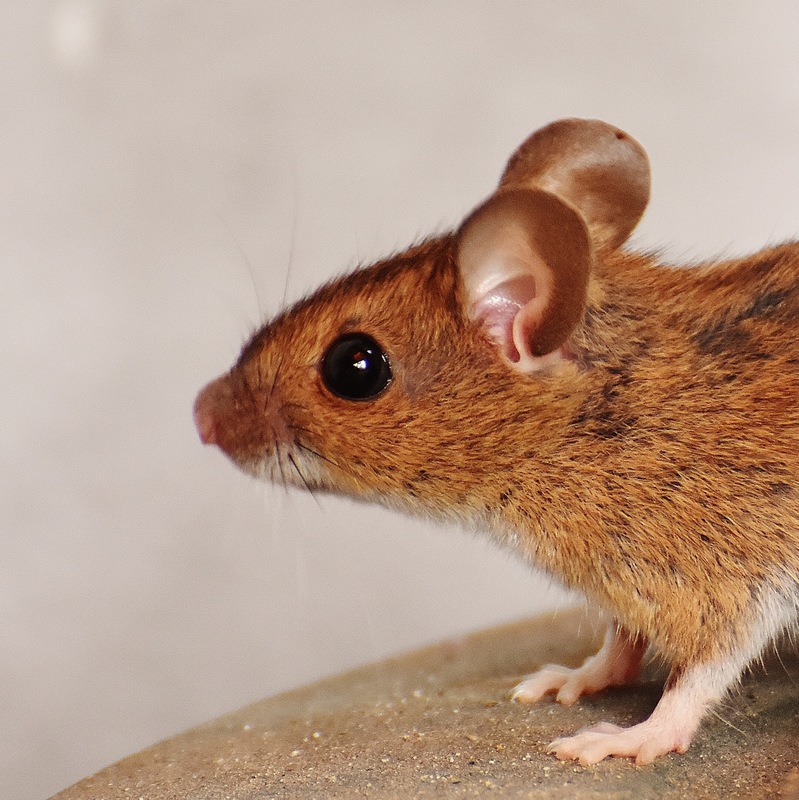 When my mom chose to delight in a field mouse who had taken up squatters rights on the floorboards of her Buick then gave him a send off into a better dwelling place, I don’t think she was trying to teach anyone a lesson, but she showed me how important it is to be gentle and kind and deliberate instead of reacting out of fear. When I stepped on the bees that snuck into my house, she reminded me of the glorious flowers that wouldn’t survive without them, and that my injury had cost the bee his life. In so doing helped me understand that a tiny danger is a fair price to pay for the beauty of a world filled with flowers, and to tread carefully around the delicate ones who do so much to make the world so lovely. And when she pointed out the garter snakes near the hose she always told me that they were more afraid of me than I was of them, then she pointed out their colors and how they “sniffed” with their tongues. Then I stuck out my tongue like a snake and I learned that we’re more alike than different, and that sticking your tongue out can break tension and make you giggle together, which pretty much means you’re friends. Did my mom realize all the lessons she instilled by showing me the preciousness of these animals that so many people despise without a second thought? I don’t know, maybe this is just a distilled example of who she is. And best of all, she taught me that love is greater than fear. It was one of those mornings. Hit or miss, where I’m dancing across eggshells hoping to get Ben to the bus without a total derailment. I’m not as good this as my husband who enjoys SuperParent status, so I’m over my head from the get go. It goes like this: Ben didn’t want to take his meds so I pretended to give them to Meg so he’d take them. Ben didn’t want to do his flush so I pretended to put his catheter into my belly button so he would say, “No, me!” Then I tried on his harness for the bus and flopped. He didn’t want to play the game any more. With the stakes maxed out and the bus chugging up the street toward our house we were at an impasse. I feel for him. Before 8 am there are at least a dozen unpleasant things he has to endure. What a rotten start to a day?! Add to that his inability to understand it all. His meds control and treat several minor to major conditions, none of which make any sense to him. It’s just stuff we try to squirt into his mouth that tastes nasty, and more often than not makes him gag or vomit. And his flush and catherization are a huge quality of life improvement from having accidents and retaining urine, but again, it makes zero sense to him, and it’s an unpleasant hour of his day. I could go on and on. Every day, numerous necessary and unpleasant things he’s forced to do for reasons that he can’t begin to comprehend. Add to that some significant pyshiatric conditions the decrease his ability to regulate his emotional response. Then after being bombarded all morning with crummy tasks he’s zipped into a harness and escorted to a bus. And by then he’s had it. Many days I wrestle him into his harness and shoes and wrangle him down to the bus. But today was different. 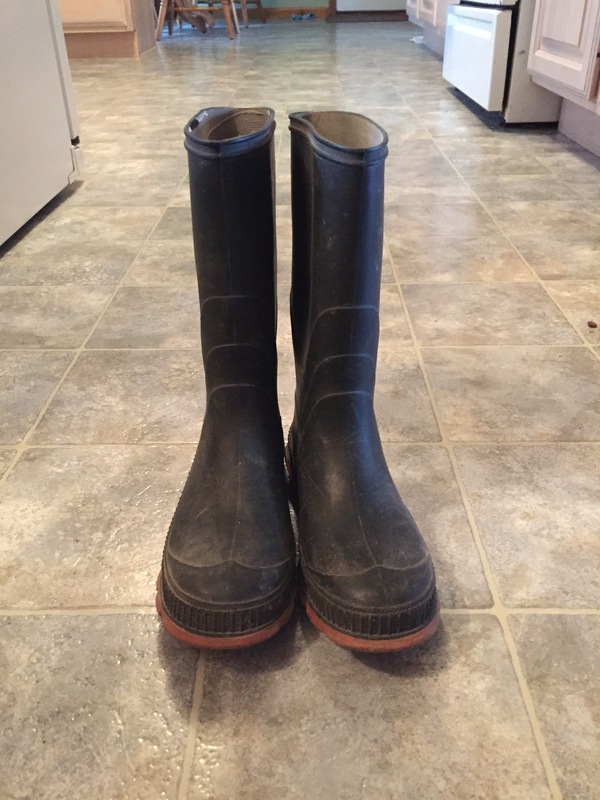 As I wracked my brain to find one more way to entice him instead of fight, I remembered a “new” pair of rain boots handed down from his cousins that had been stored in the garage. Boots he hadn’t worn before. Rain boots for a gloomy spring day. Those rain boots did the trick. Ben was just dazzled enough by his boots that I snuck his harness on while he admired them. Then I convinced him that his bus driver would be super impressed by those boots, and he trotted right down the driveway, excited to show off his spiffy new look. Today it worked. Today he hopped right on that bus, and my sigh of relief was just as huge as the tears I couldn’t head off last week when the outcome was the opposite. Sometimes the mental gymnastics work, sometimes they don’t. Sometimes I can pull it off, sometimes I flop. Some days we succeed in the final moments, some days we go down in flames. Every time it’s exhausting for Ben and for me. Every now and again I forget what I’m doing here, and get trapped in the comparison game. 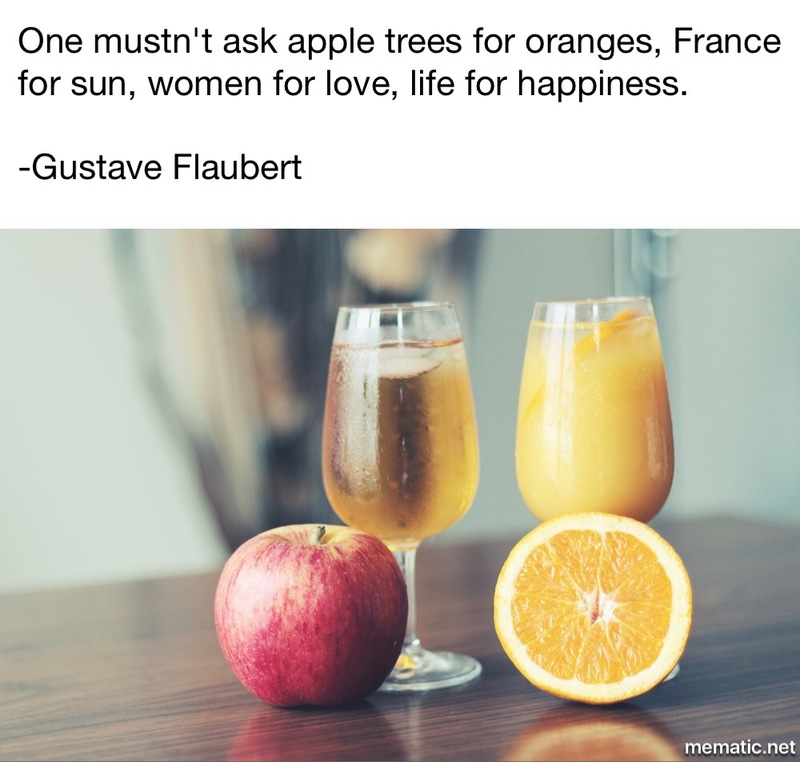 I don’t know whether we’re apples or oranges, or more likely something more exotic like a papaya, but I did it again, I got caught up in comparing us to others like apples to apples. It starts so innocently. Yesterday was a gloomy, rainy Saturday with no plans, so I took the time to scroll through Facebook with my coffee. I read complaints about kids getting up early, but the hour this person considered “early” seemed laughable when I had been up for almost 3 hours before that. It just kept going, gripe after gripe about problems that seem like lofty goals to me. I confess, I got caught up in it. My mind was churning, I felt huffy and flustered and my “woe is me” soundtrack started playing on repeat. I knew I should quit, but there’s a certain delicious self-indulgence that comes with a pity party, and it sucked me in like quicksand. Comparison is the thief of joy, and before I knew it I was dissatisfied with everything. For me, choosing joy means remembering that when comparing our lives to others it’s best to just remember that we’re papayas. We aren’t apples, we have some commonalities with apples, but comparisons with apple families will fail to satisfy. 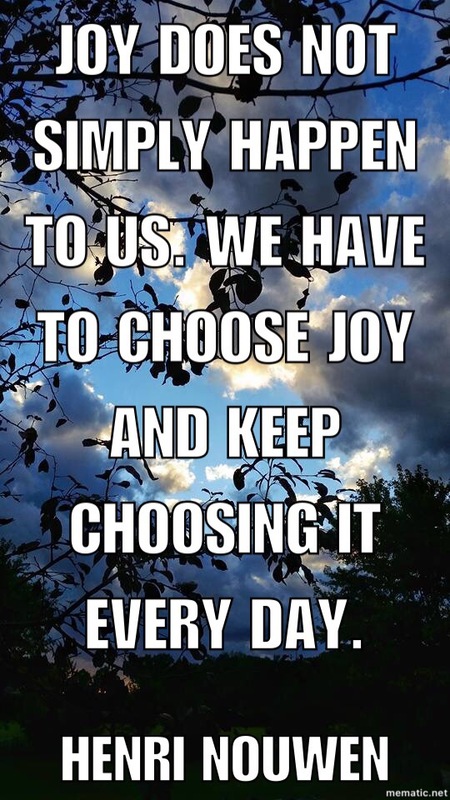 In order to choose joy daily, I must let go of the temptation of wishing I could make pies and cider and applesauce, because it’s never going to work. 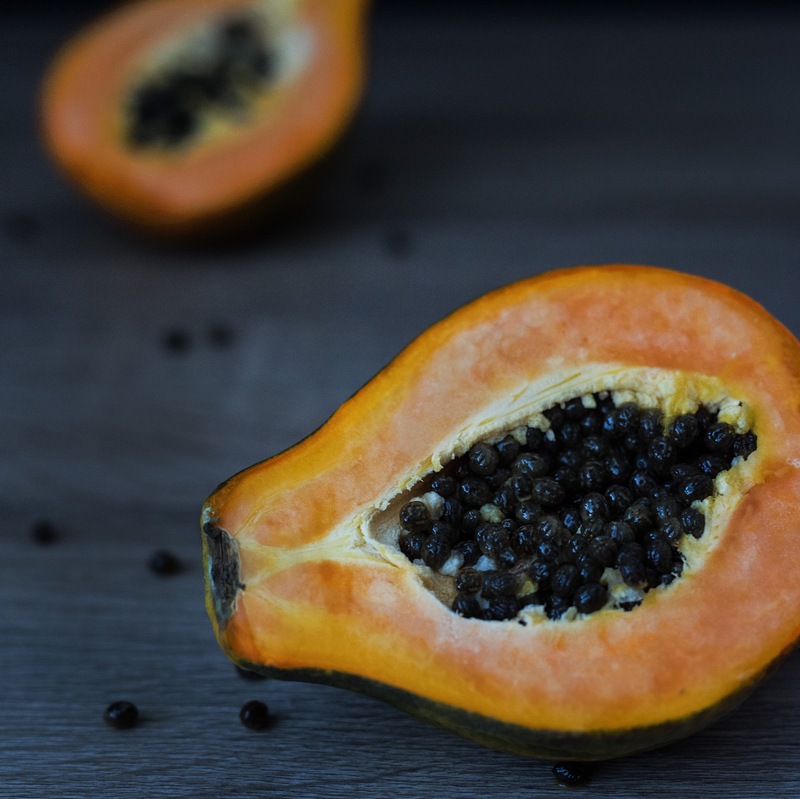 Papayas might not be as versatile as apples, but they’re beautiful, delicious, and worthy and valuable. I’m making a choice today. Instead of trying to squeeze my papaya family into an apple mold, I will celebrate all things papaya. I might hanker for a crisp now and then, but that papaya sorbet will satisfy too. Our family is different, just plain different. Instead of clinging to an ill-fated longing for normalcy, I’ll stop asking our papaya tree for apples and focus on making the most of our papayas, and in so doing I will choose joy every day. They slammed the door right in front of my husband’s face. We had run clear across O’Hare airport with our new baby tucked into my front carrier to catch the last leg of our flight home with him, and they slammed the door on us. There was no recourse. The door would not be opened no matter what we did. As we set out to adopt Ben, the doors flew open as if by supernatural command. We had a match in mere days, and as it played out, everything fell into place. We were giddy with nerves and anticipation that day that we planned our untramarathon trip to bring our baby home, with 5 flights a handful of subway rides, and a bunch of adoption paperwork and a new baby smack dab in the middle of it all. All proceeded as planned until that door slammed. After exhausting any hotel or rental car options and finding out there would be no more flights until morning, we retreated to a quiet corner and watched Salvation Army volunteers set up cots. And in those hours of waiting I questioned everything. I had no idea that the slamming door would soon be a symbol to me of our new normal. Maybe there is no reason, it might be just coincidence, but doors slam on us; specifically on Ben. I wish I could step back in time and put an arm around the 32 year old me who was so stymied by that door slam. I would have so much to tell her, but I believe that I would keep it to these two things, as not to overwhelm her. You will develop deep reserves of strength, endurance and resilience. More than you would ever believe. As the clock moved toward midnight, my husband called his lifelong best friend who grabbed an infant car seat, hopped into his Ford, and drove into the night to rescue us. We learned our first lesson that night about creatively dealing with closed doors when our knight in blue jeans, riding a red SUV saved the day and our tired butts. We have spent much of the last 12 years staring, dazed, at doors slammed in our faces. I wish I could say we have adjusted to that dreadful feeling, but I’m not so sure it’s something you get used to and since you never really know when it’s coming, it’s impossible to truly brace yourself. However, you can use creative strategies and move forward in whatever direction you choose. So be prepared to choose! I have this irrational belief that moving is going to somehow be the 180 degree turn that will make everything different, more normal. That elusive light at the end of a nearly endless tunnel. There is no rational reason to believe that any of that will change. There is nothing logical about any of this, yet here I am, eager to shed this outgrown skin. To get the heck out of here and not look back. It’s not that this has been a straight up bad chapter in our lives, many good people have walked into our lives here. They have impacted us, and we love them, we will miss them, and it’s not an eagerness to leave the many beloved people here that is behind this feeling. I believe that this stage of life is simply done. Even if circumstances don’t actually change, as a caterpillar cocoons itself and then emerges as a moth (I’m no butterfly, thankyouverymuch) I do believe that I, and our family, has been in the intermediate stage of life here, and that we simply must emerge or die (figuratively, of course). Change is inevitable and good, and a normal part of growth. As we have grown, our needs have changed, and we need to make external changes to accommodate us. Maybe it’s not logical, rational, or reasonable to hope that with this change that we will have smooth sailing for a bit, but I’ve never put quite enough stock in rational. Instead I will hope that the winds of change are blowing us into a new direction entirely, while maintaining a realistic skepticism about the actual likelihood of that. I’ll be sure to keep you posted on how it all plays out. Today is 3-21. 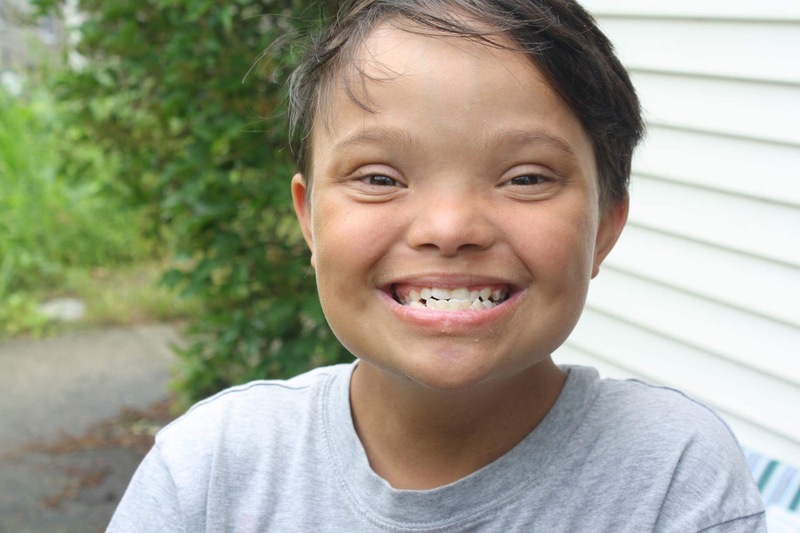 This day has been designated “World Down Syndrome Day”, because people with Down syndrome have 3 copies, instead of the typical 2 copies, of the 21st chromosome. How would one recognize this day? 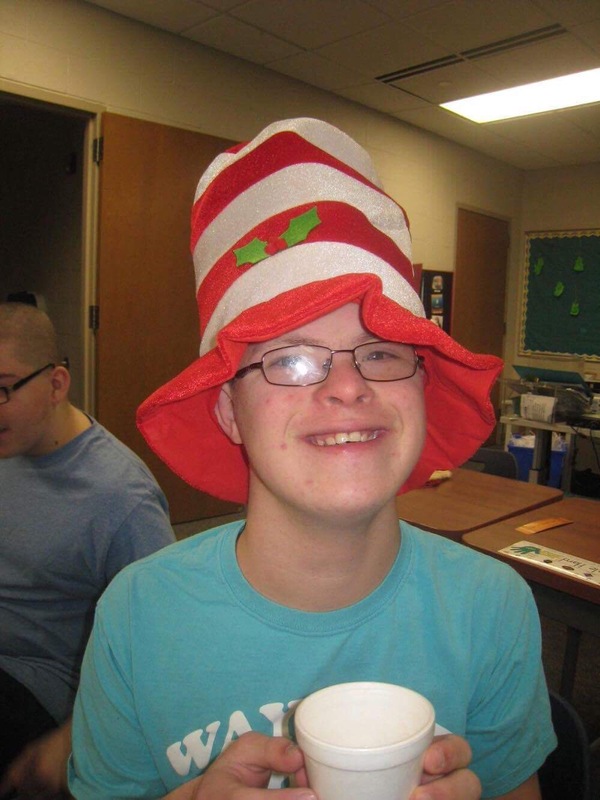 For me, it’s all about showing people who aren’t acquainted with anyone with Down syndrome just how beautiful, wonderful and treasured they are with photos and comments. Elias is a favorite phototograpghy subject of his sister Alicia. He is always quick to smile and his smile could light a room! Daniel recently became an uncle. 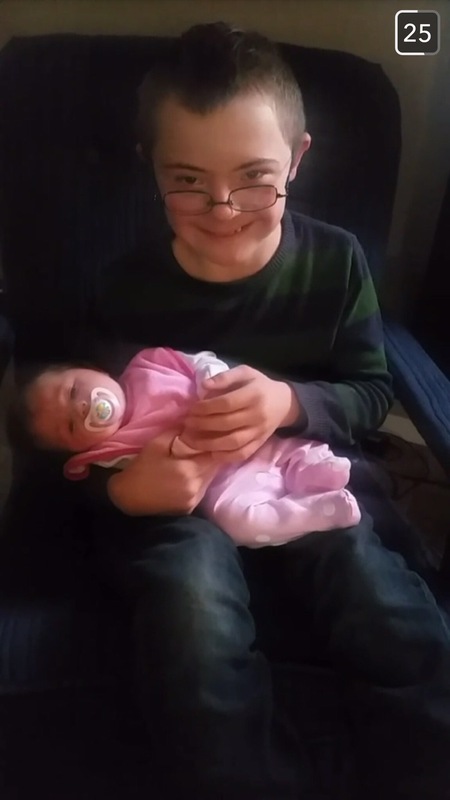 He is sweet and gentle with his new niece, and so proud of his new role! 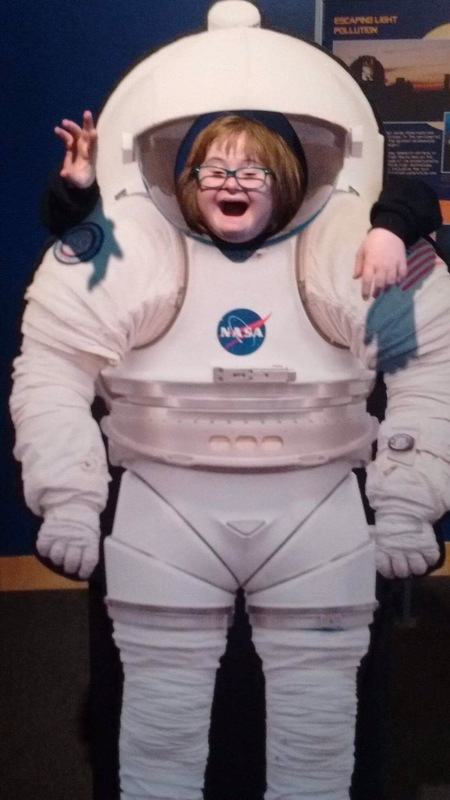 This was taken at the GR Public Museum. This is a portrait of Jenna, who from Day One has been on a first name basis with Joy. Ben lives life at turbo speed. He is fully present in every moment! Alex loves holidays and dressing up. 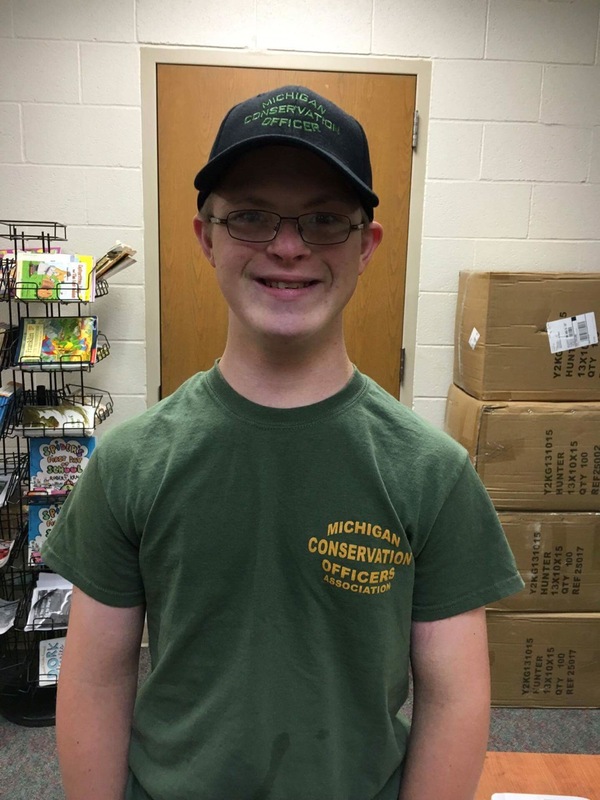 He wants to be a Conservation Officer like his dad, and he is the most sincere person I know. What a day to celebrate people with “a little something extra”! Please join me in celebrating these beautiful lives.